Ringing Cedars Oil improves gastrointestinal tract functioning. Three months Ringing Cedars Oil Support program for gastrointestinal tract. In the past decade, the problem of the pathogenic "environment - health" connection has been reflected in scientific papers in environmental medicine and human ecology. In this regard it is noted that, at the present time, there is an ever greater prevalence of diseases of those organs and systems that perform barrier functions and participate in the preservation of the cleanliness of the organism's internal environment - organs of the respiratory, digestive, excretory, lymphatic, and immune systems, as well as the liver and skin. The basic task of prophylaxis of premorbid and morbid conditions is the synchronic regulation of the basic metabolic, detoxification, and protective functions of the liver, immune system, and excretory organs. 5. Preparations having a high sorption activity with respect to toxic substances (enterosorbents, fruit pectins). diuretics and laxative effect (phytochemical compounds of Ringing Cedars oil). The comprehensive program of endoecological rehabilitation developed at the Clinical and Experimental Lymphology Scientific Research Institute of the Siberian Branch of the Russian Academy of Medical Sciences (2002) includes Ringing Cedars of Russia Siberian cedar nut oil and Siberian cedar nut oil enriched with cedar resin 5%, 10% and 20%. It has earned the worldwide recognition of medical specialists. 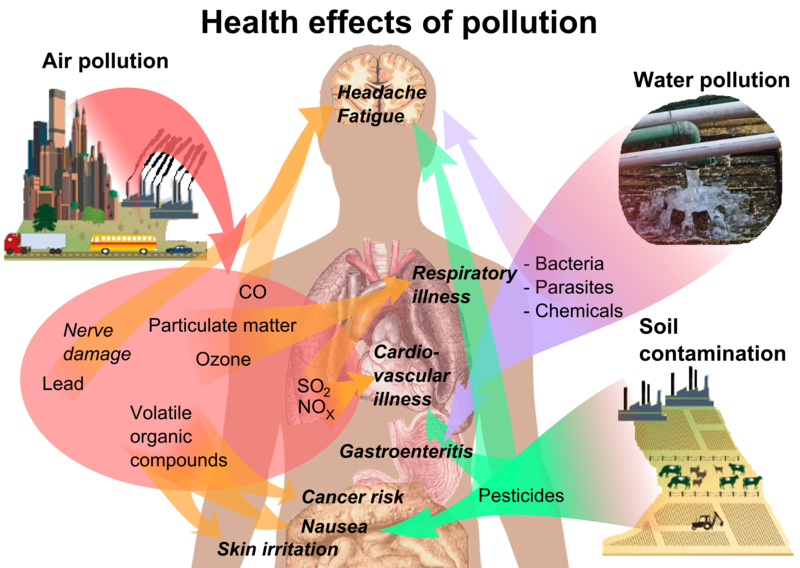 In conditions of environmental pollution, environmentally determined syndromes and diseases have achieved a wide distribution - exogenic intoxication syndrome, chemical hypersensitivity syndrome, environmental disadaptation syndrome, and chronic diseases of a polygenic nature with pathological manifestations in the form of a symptom complex of primary changes in specific organs and systems. For the purpose of rehabilitation, it is possible to recommend methods using functional nutrition products for the maintenance of organs and systems that carry out barrier functions in the human organism. It is advisable to match and combine Ringing Cedars of Russia Siberian cedar products intended for health improvement and prophylaxis in programs for the maintenance of organs and systems, having regard to individual peculiarities of functional stress and pathological disturbances in certain organs. Of great significance in providing for the cleanliness of the internal environment is the condition of the digestive organs, which play a paramount role in providing for the barrier functions of the organism in the presence of the influence of toxic substances. The frequent involvement of the organs of the gastrointestinal tract in the development of environmentally caused disturbances of the health of the population is confirmed by a reliable increase in the morbidity of the digestive organs in the most polluted settlements. It should be noted that the flow of artificial food additives (taste simulators, artificial flavourings, preservatives), as well as the ingestion of medicines enlarge the arsenal of toxic substances that have a harmful influence on health. The morbidity of diseases of the digestive organs in children who reside permanently near chemical production is shown to be approximately three times higher than in other areas. An observation of the dynamics of the morbidity of large population groups in the area that was subjected to the effect of the consequences of the accident at the Chernobyl Nuclear Power Plant recorded a distinct increase in the indices of the morbidity of the digestive organs. The use of Ringing Cedars oil as the safest natural means for the correction of complex specific disturbances of the organs of the gastrointestinal tract in those working in the shut-down of the Chernobyl Nuclear Power Plant showed its effectiveness in improving the processes of repairing the mucosa in the presence of erosive changes and scarring of deeper defects of the mucosa. Ringing Cedars of Russia cedar nut oil increases the protective properties of the mucous membrane with respect to damaging factors, including bacterial, toxic, fungal, and radiation factors. The natural Mineral-Vitamin Complex - cedar nut oil has a balanced amino-acid, vitamin, and mineral composition, which provides the conditions for the synthesis of hormones, ferments, and other important compounds that ensure the physiological flow of the digestive processes. Providing the organism with polyunsaturated fatty acids creates the conditions for the synthesis of metabolically active compounds - prostaglandins - that fulfill the functions of local hormones and regulate the tone of smooth musculature. This makes it possible to improve peristalsis in the organs of the gastrointestinal tract and the evacuation of intestinal contents, to regulate the motor activity of the gall bladder and bile ducts. Ringing Cedars of Russia Siberian cedar nut oil, 1 table spoon 2 times a day. 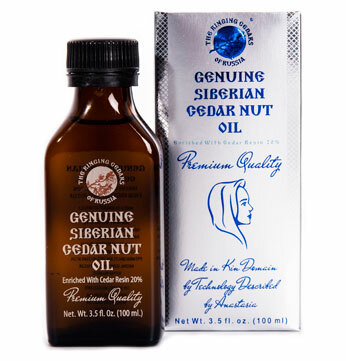 Ringing Cedars of Russia Siberian cedar nut oil enriched with resin 5%, 1 tea spoon 1 at night. Ringing Cedars of Russia Siberian cedar nut oil enriched with Siberian cedar resin 5%, 2 tea spoon 2 times a day. Ringing Cedars of Russia Siberian cedar nut oil, 1 table spoon 1 time a day. Ringing Cedars of Russia Siberian cedar nut oil enriched with Siberian cedar resin 10%, 1 tea spoon 2 times a day. The use of the program presented exerts a comprehensive general influence on all organs and systems that protect the organism from harmful environmental effects. The complex of natural Ringing Cedars of Russia cedar products of functional nutrition displays a wide spectrum of health-improvement effects, which improve the metabolic, protective, and detoxifying functions of the organs that fulfill barrier functions. Modern studies of the food allowance have revealed substantial deviations in the structure of the diet of the population from the formula of a balanced diet: a deficiency has been noted in micronutrients - vitamins, minerals, unsaturated fatty acids, and an entire series of organic compounds of plant origin; with regard to macronutrients, the food allowance is deficient in proteins and dietary fibers, and has an excess of animal fats. The existing deficient structure of the diet exerts an unfavorable effect, first of all on the defensive strength of the organism - there is an increase in the risk of the development of different environmentally caused diseases. Modern science possesses persuasive data to attest that, with the use of functional nutrition, it is possible to support an optimum level of vital activity and avoid many illnesses. Ringing Cedars of Russia cedar nut products intended for prophylaxis and health improvement are manufactured according to modern conserving technologies, which make it possible to preserve all biologically active natural components in their primary form. Thus, functional nutrition of Ringing Cedars of Russia cedar products - cedar nut oil and cedar oil with cedar resin 5%, 10% and 20% - are composed of a harmoniously balanced complex of biologically active substances, which exert a combined versatile action on organs and systems that are critical for the maintenance of the cleanliness of the internal environment of the human organism. They do not contain preservatives or toxic substances; and therefore, there are no contraindications to their use, with the exception of any individual intolerance to separate components. The high biological activity of the natural components of cedar products under Ringing Cedars of Russia brand name and the complex action of balanced nutrients are responsible for the health improvement properties of these products in conditions of the influence of harmful environmental factors. The use of Ringing Cedars of Russia cedar products intended for prophylaxis and health improvement is recommended for the inhabitants of large cities and environmentally unfavorable regions for prophylaxis and rehabilitation in the face of the influence of harmful environmental factors by maintaining the function of the liver and the immune system, as well as the organs of the excretory system. N. A. Agadzhanyan, PhD, Professor. 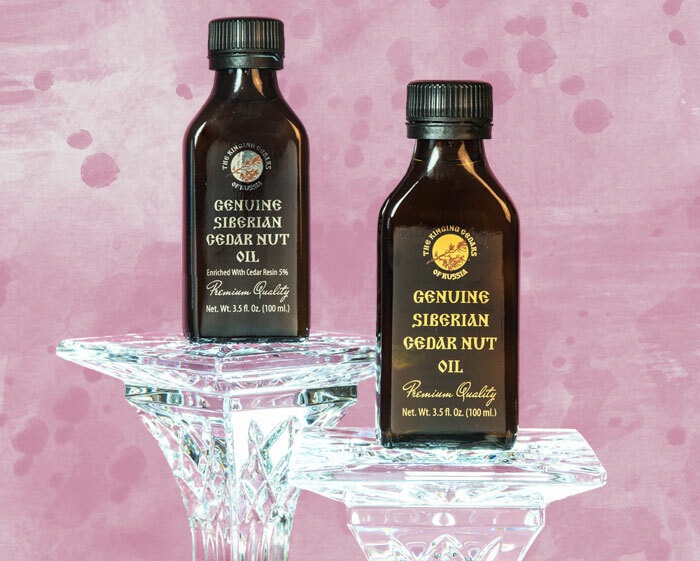 The oil is just amazing a miracle the digestive problems I have experienced now for over 20 years has improved 100 percent in just two months of taking cedar nut oil daily, alternating between one teaspoon or one tablespoon. It is just brilliant for skin too. I've been taking cedar nut oil with 20% resin over the period of 2 months because of my stomach problems, gastritis and reflux as well as positive H. pylorus .I have noticed improvement of my symptoms along with good bowel movements. I am going to continue this for a while. Been taking it[Resin Extract 10%] for about a week and a half and i have to say i feel amazing. I have been in a really really good mood and my stomach already is so much better.